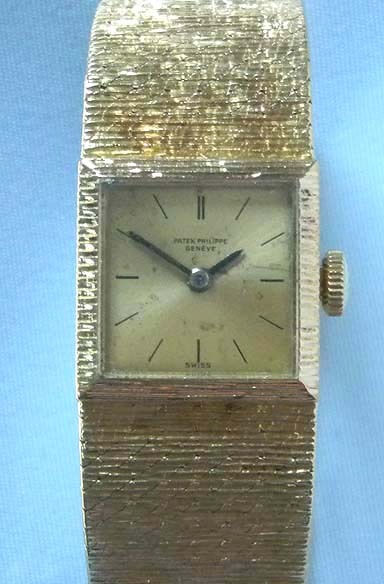 Fine Patek Philippe 18K gold vintage ladies bracelet watch circa 1967. Original gold dial (signs of age) with black markings and blued steel hands. Lovely textured finish. Fine rhodium 20 jewel 8 adjustment movement with gyromax balance. Overall length 6 & 5/8 inches.